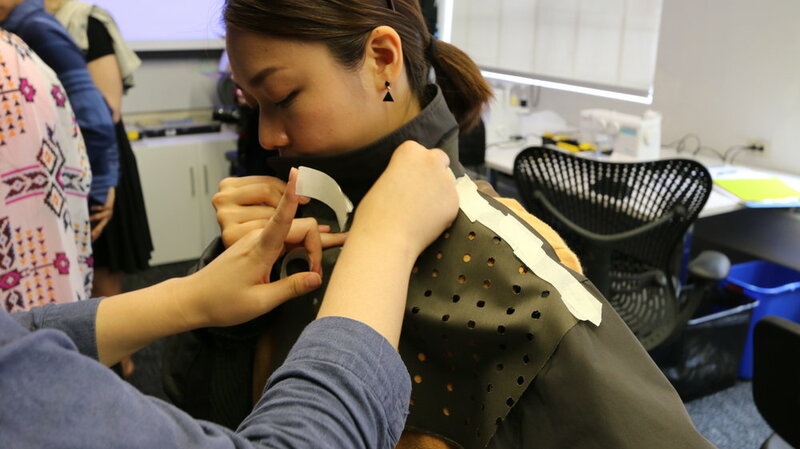 Open Style Lab’s ten-week interdisciplinary research program teams designers, engineers, and occupational therapists to create wearable solutions with and for clients with disabilities. Teams will be given resources to carry out user studies in their client’s daily physical and social contexts, then fabricate and test prototypes with their clients. 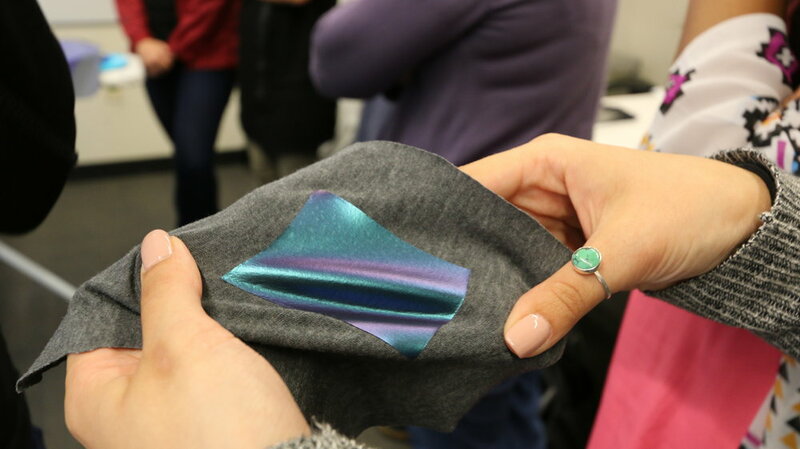 By the end of the program, each team will be required to produce a garment that thoughtfully uses technology and purposeful aesthetics to meet their client’s need. Teams will also receive feedback from guest lecturers, mentors and judges from academia & industry. A final showcase at the end of the program gives teams the chance to share their work with the public, and compete for an award to further their work. Engineers: Experience with 3D modeling, sensors, Arduino/Raspberry Pi or other electronic prototyping boards, circuit design and fabrication and/or 2D/3D CAD experience. Must be able to work with wearables or body-related projects. Designers: Product design, garment construction experience, wearable technology OR material science. Occupational Therapists: each fellow needs to have robust list of clinical experience and volunteering. A desire or work that reflects the arts, design, or engineering are welcome such as skills in sketching, prototyping, building etc. All fellows must have at least 1 year of work experience in their field and be able to commute to Manhattan, New York. Engineer and Design Fellows will be asked to share a portfolio with CV. What is the time commitment for SUMMER? This year’s program runs from June -Aug. All participants will receive mentorship and research goals online starting June. Participants are expected to be present every Saturday from 11am-6pm from July 27- August 24. Additionally, you can expect 10 hours of team work outside of the core Saturday programming. Most participants also manage a full-time internship or job during the weekdays. What is the research and work? 1. What design affordances provide people with disabilities to hack products and clothing that exist around them easier or create new ones? 2. Instead of pre-scribing clothing to people with disabilities, how can teams support people with disabilities to be co-creators? 3. What learning tools and technologies alter the clothing design process and empower people with disabilities express his/her style? Where does OSL summer happen? Nope! However, if you are accepted to the program, there will be an application fee to confirm your participation. The bulk of our program’s costs are generously funded by donors and sponsors. Fellows will have access to an array of equipment (sewing machine, 3D printers, etc.). Each fellow is provided with $1000 to spend on project-specific supplies or traveling at their discretion. In addition, functional fabrics, unique technologies, and materials particularly provided to this program will be given to all participants. Fellows will participate through online courses starting June 8th. 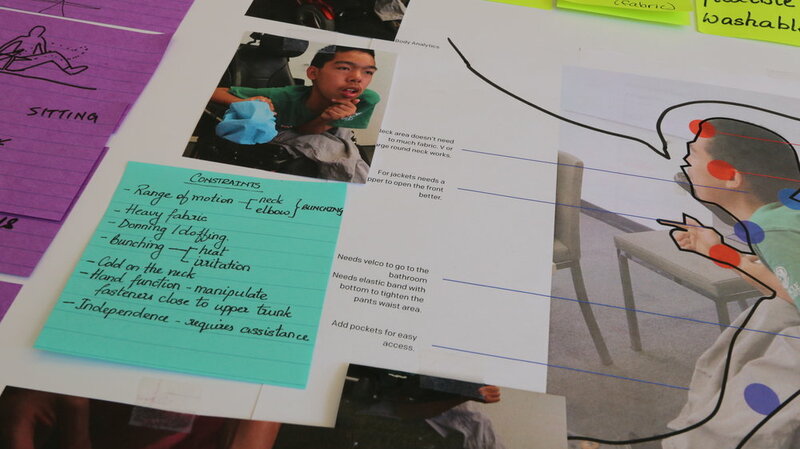 Fellows will research accessible apparel, assistive technologies, and experiences dressing barriers. *Specific dates will be provided upon acceptance to accommodate international fellows. Guest lectures and mentoring sessions help frame each team's decision making process. Fellows are mentored by top industry professionals and experts in fields of universal design, assistive technology, material sciences, or therapy. 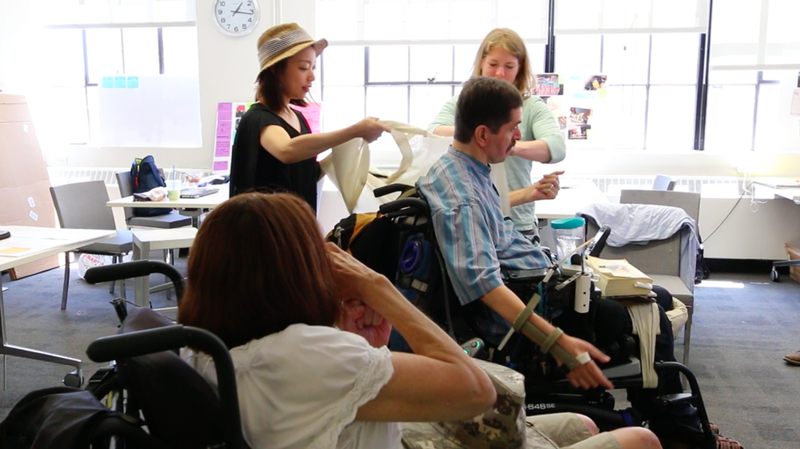 Fellows will work with their clients (people with disabilities) to learn to evaluate design needs from OT, design and engineering perspectives, each Saturday in NYC. 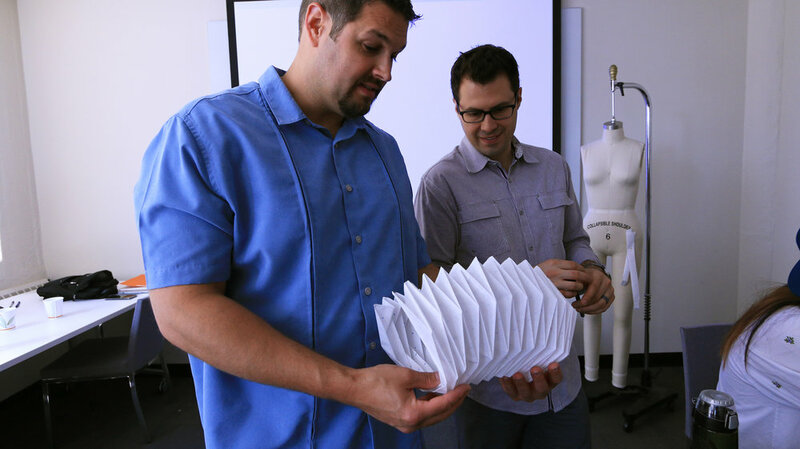 OSL offers a collaborative space for hands-on prototyping with fabrication tools. Fellows will be able to utilize a space to work with creating designs and prototypes with clients inside or outside the facilities. A final showcase will be open to the public with select guests, media, and experts from industry to inclusively engage with the community. Students may be invited to present final designs at platforms. Past such platforms include: Parsons School of Design, MIT Museum, and Museum of Science, Boston.